If you’re on facebook and love zombie fiction, today’s your lucky day. Check out Zombie Fest Free ebook Bonanza, a facebook event open to the public and supported by numerous zombie writers, artists, and fanatics. 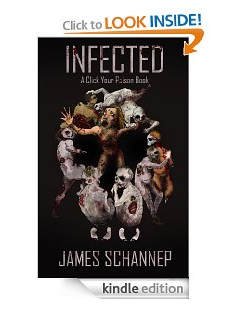 I’m giving away a few copies of INFECTED to lucky raffle winners, and countless others are doing the same. There’s even a free ebook you can download the day of the event (an anthology of short stories) to which I’ve submitted “Corporate Zombie“. So, click the link, head on over to facebook, get some free gear, and meet some talented artists! I can’t EVER pass up zombie swag. EVER.